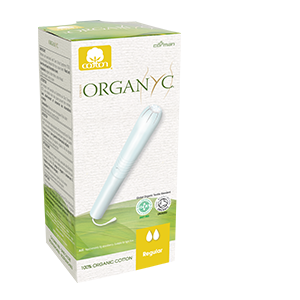 16-count Regular 100% certified organic cotton cardboard applicator tampons are great for normal days. 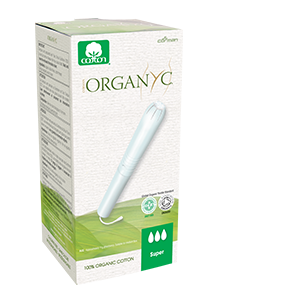 16-count Super 100% certified organic cotton cardboard applicator tampons are great for heavier days. 16-count Regular 100% certified organic cotton no-applicator tampons are great for normal days. 16-count Super 100% organic cotton no-applicator tampons are great for heavy days and are ideal for women who prefer no applicator. 16-count Super 100% certified organic cotton no-applicator tampons are great for the heaviest days and are ideal for women who prefer no applicator. Super Plus 100% certified organic cotton compact applicator tampons are great for the heaviest days and women with a heavier flow periods. Applicator is made with 90% plant-based ingredients. Smooth insertion and comfortable to wear.